Nice bedding, clean building, many parking spots. Discount in Pizzeria Fortuna (same owner as Silvija). Relatively new and fresh feeling when entering the apartment! Great located parking next to the building! Super Lage. Kurzer Weg in die Stadt mit vielen Einkaufsmöglichkeiten und zum Strand. Sehr netter Vermieter. Bezpieczna, spokojna okolica, miejsca parkingowe, ładnie urządzony apartament, nowoczesne sprzęty kuchenne. Z balkonu widok boczny na cypel starego miasta (piechotą ok 10min spaceru). Allting var perfekt.Det var andra gången jag var där.Blaz är bara fantastisk värd. Wszystko zgodne z opisem. Pokoje wspaniałe. Kuchnia wyposażona w pełni ! Właściciel mówiący po polsku to świetna sprawa ! Przepiękny widok z dużego tarasu. Blisko do plaży, sklepów i innych atrakcji. Gdybyśmy mieli podjąć decyzje jeszcze raz, bez wątpienia wybralibyśmy to miejsce. Świetna obsługa.W nocy cicho i spokojnie. Ja wraz z mężem i rodzeństwem polecamy w 100%, na pewno wrócimy do tego miejsca ! Kényelmes ágy, jó kialakítású apartman. 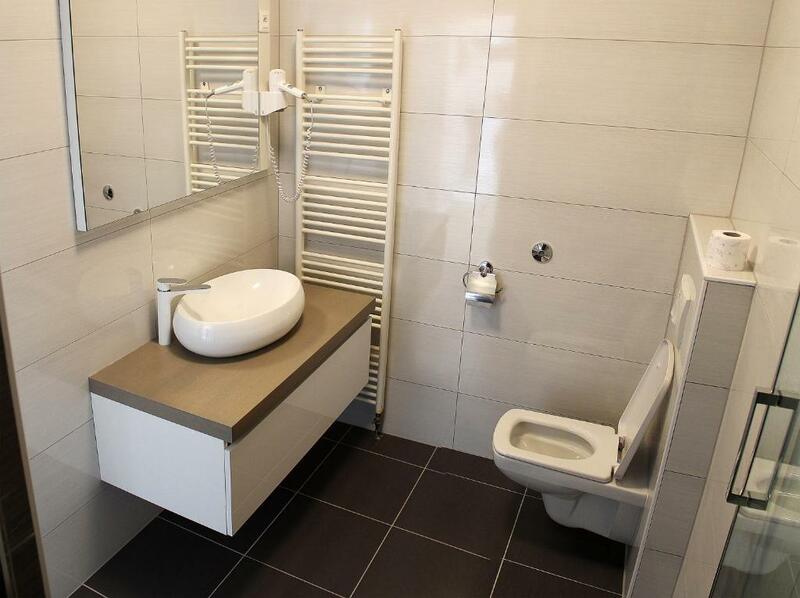 Különösen tetszett, hogy mindegyik szobához külön fürdő-wc tartozott. Przemiły gospodarz mówiący w języku polskim. Blisko piekarnia i sklep. Bardzo wygodne położenie Apartamentu, niezbyt daleko od morza, ale jednocześnie w oddaleniu od ruchliwej promenady. W nocy cicho i spokojnie można się dobrze wyspać. 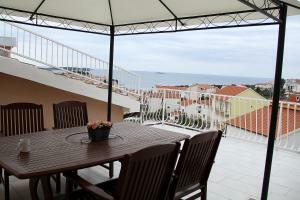 Lock in a great price for Apartments Silvija – rated 9.1 by recent guests! Apartments Silvija This rating is a reflection of how the property compares to the industry standard when it comes to price, facilities and services available. It's based on a self-evaluation by the property. Use this rating to help choose your stay! 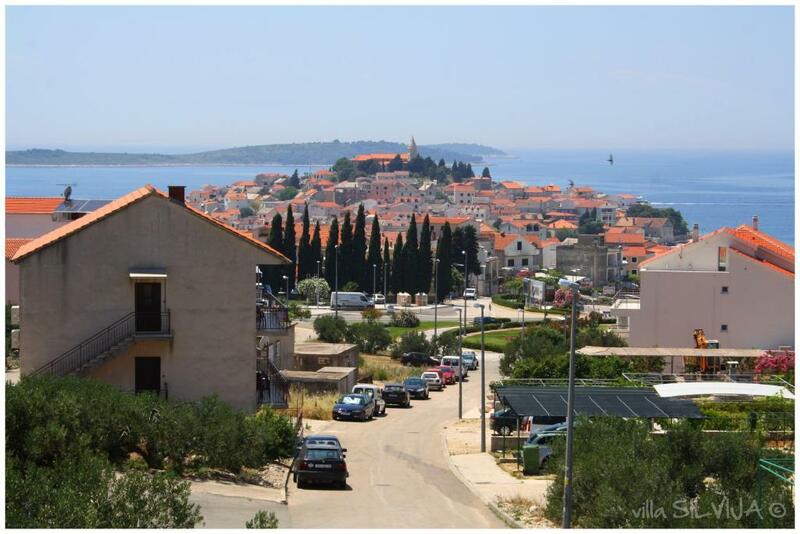 One of our top picks in Primošten.Only 1,950 feet from Mala Raduča Beach, most of these apartments have a balcony and views of the sea and Primošten’s center. 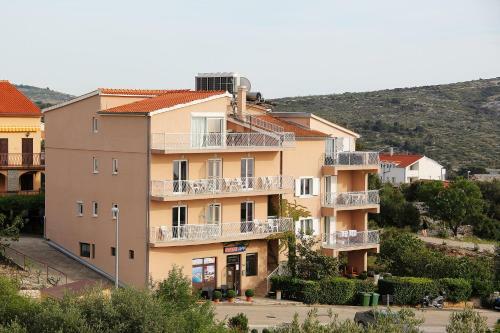 Air conditioning and satellite TV are standard facilities at Aparthotel Silvija. 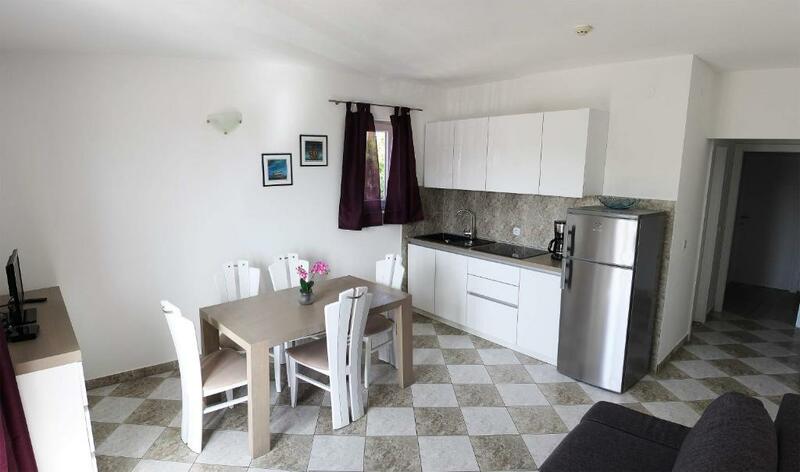 Each unit includes a well equipped kitchen, dining table and living area with a sofa. Organized excursions are also available at the Silvija. Destinations include Šibenik and Trogir. Both cities can be reached in less than 30 minutes by car. 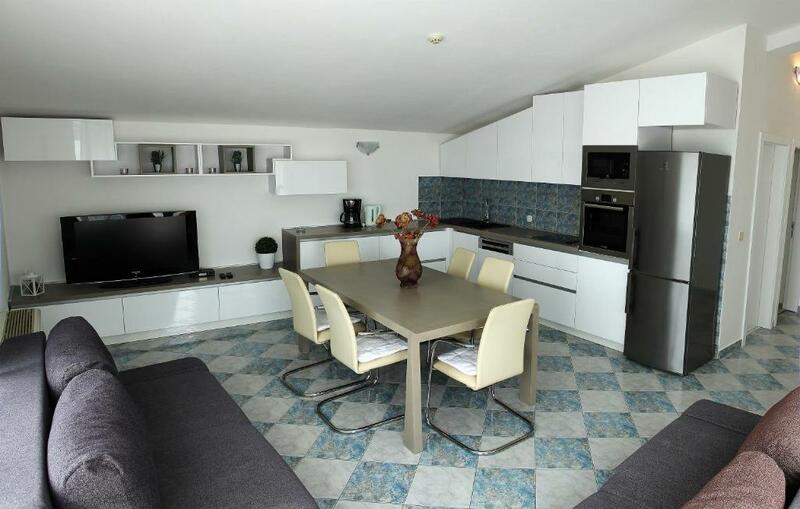 When would you like to stay at Apartments Silvija? This apartment features air conditioning and satellite TV. 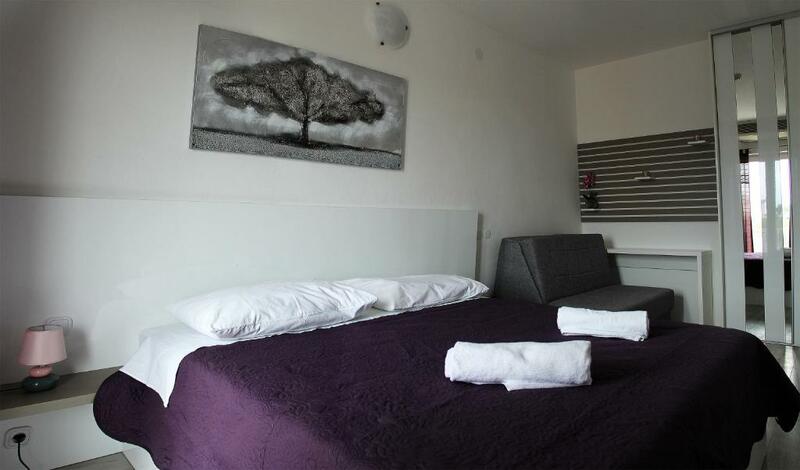 It offers a double bed, a sofa bed and a fully equipped kitchen. This apartment features air conditioning, satellite TV and a balcony with sea view. It offers a double bed in one bedroom, a bunk bed in the other and a sofa bed and a fully equipped kitchen in the living room. 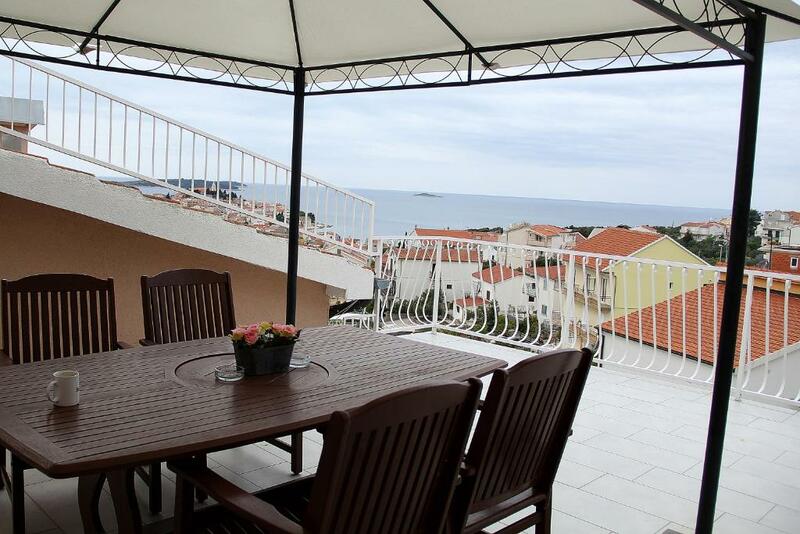 This apartment features air conditioning, satellite TV and a balcony with sea view. It offers a sofa bed and a fully equipped kitchen in the living room, while bedrooms come with double beds. This apartment is located on the ground floor and features a terrace offering views of the garden. There is a well equipped kitchen, a dining table and a seating area with a sofa. 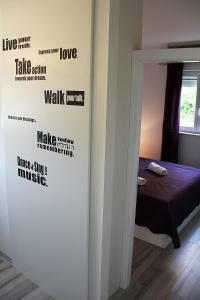 House Rules Apartments Silvija takes special requests – add in the next step! Please inform Apartments Silvija of your expected arrival time in advance. You can use the Special Requests box when booking, or contact the property directly using the contact details in your confirmation. Nobody came in to clean or change the bedding. Could do with a kettle. Toaster. Microwave. Handy to the center of the town. Instructions/maunal for coffee machine would be nice. Rules and price list for using laundry machine would be nice. Parking spots are in full sun. Too noisy due to the chairs being moved one level up on the stone floor. Just simple solution - to fill the chairs legs with felt. And resect a neigbors level down. Very noisy AC and bad smell in the bathroom.